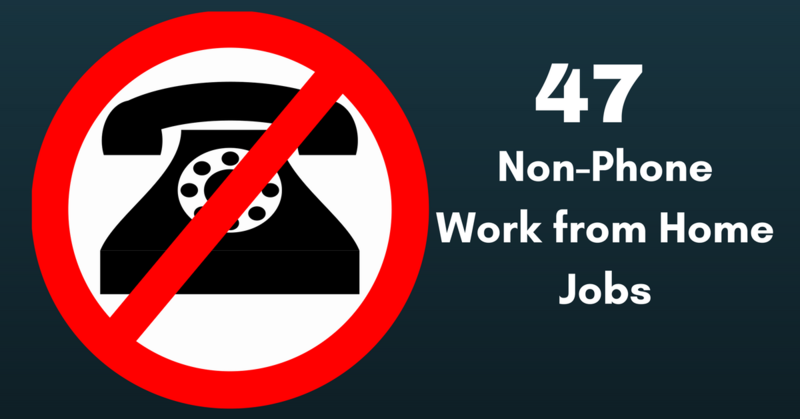 Many job seekers can’t – or would rather not – have a phone-intensive job. Young children, lack of a landline phone (many people have “cut the cord”), eldercare duties, or plain old phone fatigue are just some of the reasons. Fortunately, many home-based jobs and extra-cash gigs require little or no phone work. Here are 47 open now, all hand-picked and legitimate. Enjoy, and please share with friends! Get Paid Up to $50 to Download Nielsen’s App – Nielsen (The TV/Radio ratings company) – For anonymous web use statistics, the company pays for downloads. Remote Medical Coders – nThrive Health, Inc.
For more jobs like these see our Newest Jobs & Gigs page. To be the first to hear about jobs we post, like our Facebook page. Screened affiliate links on this page help us buy Cheez-Its for the rebellious rats here at RRR. Thanks! May you be rocking your Rebellion soon! This entry was posted in Earn Extra Cash, Non-Phone Jobs, Work at Home Jobs. Bookmark the permalink. ← U-Haul Now Hiring Part-Time Work from Home Customer Service Reps!